Extremely effective for Airports, Runways, Control Towers, Hangars and other aviation applications. The Sonic Bird Chaser is an affordable and proven bird control deterrent device. The bird repellent devices broadcast threatening recordings, telling birds to stay away. Real sounds - high-quality digital playback of naturally recorded threats. Sonic Bird Chaser repels pest birds including crows, sparrows etc. ; also deters other small critters. We offer optimum quality The BroadBand PRO combines sonic AND ultrasonic audio to get rid of pest birds with a comprehensive, multi-faceted audio attack. 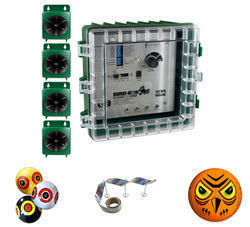 Offered by us at affordable prices, these products offered by us are used to get rid of the pest birds by combining sonic and ultrasonic audio. With our rich vendor base and well-equipped warehousing unit, we have been able to offer these offered products in bulk quantities. 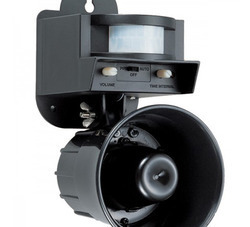 We are instrumental in offering in finest quality BirdXPeller Pro - Sonic Bird Repeller to our valuable customers. By using advance tools, our team of quality controllers ensures that the best possible quality of the offered product range is never compromised. Due to their steady performance and minimum maintenance, these products are highly demanded in the market. We are counted amongst the leading traders and suppliers of this highly commendable range of Super BirdXPeller Pro - Sonic Bird Repellent. For the purpose of maintaining this reputation, we acquire the products from vendors, who never compromise with its quality. Thus it's manufacturing involves using the finest raw materials and modern machines, as per the industry set norms and guidelines.